This week we have a guest blogger! Laura Bourland, Content Marketer, has written for buildwithrise.ca and other prominent outlets in the Smart Home world. You consider yourself a pretty smart, savvy homeowner, but does your house reflect that? Smart home technology has taken the world by storm, offering new ways to save on those utility bills, automate routine actions, and help us all reduce our environmental impact. On average Americans spend $3,052 every single year on utilities, but it’s also possible to save as much as a third of that simply by upgrading to smart devices and home automation. Smart thermostats alone can reduce your home heating and cooling costs by more than 23% by automating your indoor temperature so it’s always comfortable and never wastes energy while you’re at work or on vacation. There’s even options now available for electric heat, like Mysa. Add on a home assistant, and smart light bulbs and you could really save on the bottom line. But with SO MANY options in smart home automation, where does one even start? Did you know, about 60-70% of all the energy you consume at home when you have high voltage heating is dedicated solely to maintaining a comfortable indoor temperature? Programmable smart thermostats make it possible to view that energy consumption in real-time and manage it all from a dashboard that can be accessed both at home and while you’re away. Keep in mind that not all smart thermostats are compatible with high voltage and forced fan heating systems. If you’re unsure, contact the company or talk to a sales representative before adding the thermostat to your cart. Because smart thermostats are programmable, you can easily set them to automatically heat your house just before you get home from work each day and lower the temperature to a comfortable sleeping temperature about an hour after you’ve drifted off to dreamland. Once most people set their smart thermostats, they can forget about constantly adjusting the temperature and finally just sit back and live comfortably. Smart thermostat owners also report saving about $150/year or more compared to their previously not-so-smart thermostat. If you’re just getting your feet wet with smart home automation, we recommend starting with a smart thermostat as they help save on utilities, can be easy to install yourself, and don’t require any regular maintenance or monitoring. Just set it and forget it – or have fun with all the extra smart options! Add a home assistant to your house and you may begin to finally feel that space-age promise of complete reliance on robots. Managed by voice control, smart home assistants like Amazon’s Alexa and Apple HomeKit’s Siri will listen for your commands throughout the house and automatically control your smart thermostat, play music, lock your doors, and just about anything else you teach it. Early adopters to smart home automation should keep in mind that not all smart devices are compatible with all smart home assistants, so be sure you choose your assistant carefully. For example, if you’re considering the Mysa Smart Thermostat, you’ll want to be sure you choose the Google Home or Amazon Alexa smart assistant devices. Many devices, including Mysa can also be programmed with IFTTT. The Alexa voice assistant comes with any Amazon Echo device. When the device is on, simply call the name “Alexa” and give your command to adjust the temperature ofyour smart thermostat, dim the lights, lock the doors, or control any other smart device connected to your Echo device. She can also search the internet for answers to questions, weather and traffic reports, and even learn new skills, including those you may develop yourself if you have the programming know-how. Find it on Amazon or by using the Alexa App. Siri is the voice assistant created by Apple and primarily found on iPhones, iPads, and Apple HomeKit. The Apple centric interface makes it possible to ask Siri to control smart home devices like lighting, fans, and smart thermostats. Once you’ve added your smart home devices to theApple HomeKit accessories menu, simply say, “Hey Siri” and give your command. The Apple HomeKit also makes it possible to set a scene controlling multiple devices with a single command. For example, you might set a “movietime scene” that dims the lights, turns surround sound speakers on, turns the A/C up, and locks the doors. Find the Homepod at the Apple Store or use HomeKit with any Apple device. 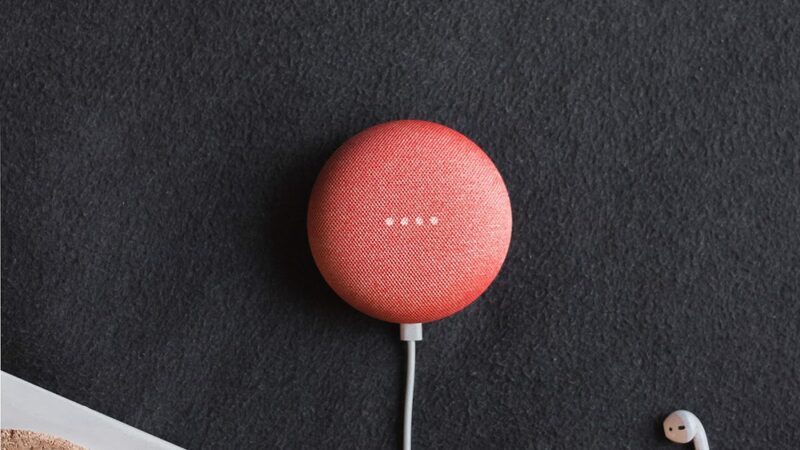 Unlike the others, Google’s voice assistant simply goes by the name “Google”. 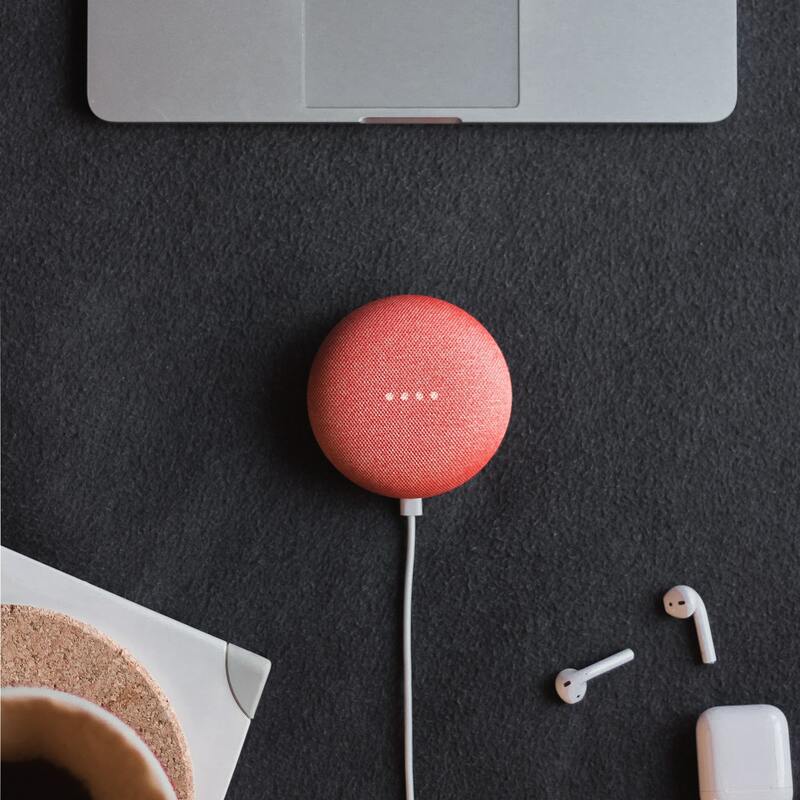 The Google assistant can control all your compatible smart home devices and automations, Chromecast, sync with your Google Calendar to keep you running on schedule, play music, answer questions, and even play games. Just say, “Hey Google” and give your command. Find it on the Google Store or on an Android device. Even if you just choose one other smart home device, we highly recommend adding on one of these hands-free home assistants to make your life easier. After all, it’s so much quicker to give a voice command than it is to find a remote or navigate to a dashboard manually. Did your mom have that annoying habit of always reminding you to turn the lights off before you left a room? We hate to say it, but she had good reason! In fact a whopping 25% of most home electricity bills are made up just of lighting expenses. Smart lighting provides a brighter future, making it possible to control individual and sets of lights by voice and automation, and even use a range of color to set unique moods and lighting that’s easier for tasks like reading and sewing. Creating customized lighting scenes makes it easy to get settled in for movie night, automatically dim lights at the end of the day, and even keep your lighting active, making it appear you’re home even when you’re not. Smart lighting runs the gamut from CFL light bulbs that use 75% less energy and last 10x longer than traditional bulbs, LED light bulbs that use up to 80% less energy and last 25x longer, to smart light bulb automation that systematically reduces your overall lighting energy consumption. There are a wide range of options in light bulbs and automations to sense motion, dim lighting, and automatically change lighting patterns on a schedule or through voice assistant command. Most smart light bulbs and automation systems can be purchased on Amazon and through their individual company stores like Lutron, Philips, and Orro. Smart light bulbs are a really easy upgrade to make to your home to save on electricity, automate your preferred lighting patterns, and create a more enjoyable atmosphere. Automated lighting removes the need to remember to turn the lights off by sensing your activity and adjusting lighting to fit your unique lifestyle. Now that’s smart! According to an insurance study done in 2015, a surprisingly large, 23 million Americans had online shopping packages stolen right from their very own front porches before they returned home to bring them inside. Porch pirates have become an increasing problem as more and more people do their shopping online. We all want our families and belongings to be safe and secure, but how much can you really do? Traditional door locks and expensive home security companies do a decent job, but smart home technology is knocking them out of the park through extensive options in customization and security features. Smart home security cameras like Ring have taken the world by storm, giving homeowners a 24/7 visual of their own front porches. Homeowners absolutely love the ability to monitor package deliveries, dog walkers, and their children getting home from school and local authorities have even been able to catch porch pirates and burglars with the help of these DIY home security cameras. Some cameras even have voice capabilities to communicate to friends when they arrive on your doorstep and you’re running late or urge an unfriendly visitor to take a hike. Smart door locks add a whole other level of security to your home by connecting the traditional function of a lock to your overall home security system. When a compatible smart lock is connected to your voice assistant, you can remotely secure your home without lifting a finger. In bed and think you forgot to lock the door? Just tell Alexa, Siri, or your Google Home assistant to do it for you! Door locks can also be added to your home automation to automatically lock doors after dinner and again when the last family member leaves the house to start their day. Smart door locks can be found on Amazon and on company websites like August and Nest. Smart home security cameras and door locks are an excellent addition to any smart home automation system. We recommend placing them higher on your priority list if you live in a high crime area or if your neighbors have been victims of porch pirating. Even appliances have gotten smarter! Everything from clothes washers and dryers to dishwashers and refrigerators have smart models available that not only reduce energy consumption, but can also automatically complete routine tasks. Remotely start and stop your washing and drying cycles from your smartphone or voice assistant to take advantage of lower rates outside of peak hours, get notifications when detergents are running low, and when the machine needs maintenance. Smart refrigerators are truly a miracle for home cooks by making it possible to search recipes quickly, set and remind yourself of food expiration dates, automatically create grocery lists using inside cameras that detect when you’re running low on milk, and alert you when your water filter needs to be changed. If you plan to use a smart appliance with a voice assistant, be sure to check the compatibility before making the investment. And definitely check in with your local municipality or a certified installer to see if smart appliance rebates are available. Most smart appliances can be purchased online or wherever appliances are sold. Smart appliances are definitely one of the more expensive smart home upgrades, but they are more than worth it for the added convenience, efficiency, and energy savings. Last, but certainly not least, we’d like to talk to all of you pet lovers and parents of young children. There is no shortage of smart home devices for our beloved furbabies. Probably one of the most useful to all pet parents are smart food and water dispensers. Smart feeders, like the Petnet, automatically dispense the assigned portion of food on a schedule to help keep your pet fed, on schedule, regardless of whether you’re home or not. These are incredibly beneficial if you tend to work late or if your furbaby has a habit of overeating from an endless bowl. Smart collars are literally a lifesaving device to keep your pets and your neighbors safe. Products like the Wuf smart collar include GPS just in case your pet ever wanders off, health tracking, and can be synced with invisible fence technology to prevent your pet from crossing pre-set barriers either in your house or at the edge of the yard. You might also consider smart cameras, similar to baby monitors, that make it possible to see your pet and even interact with him/her when you’re not home. We certainly can’t promise smart devices will make your baby any smarter, but they will put you at ease about the all-encompassing challenge of caring for infants. Every new parent fears any number of issues from SIDS to whether baby is gaining weight at a normal and healthy rate. Smart devices are here to help! Just about every baby registry includes some version of a baby monitor, including new smart baby monitors, like Evoz, that deliver clear images, swivel to get a better view of baby as he/she moves around in the crib, and will even alert you when baby begins to cry. Take monitoring to the next level with smart devices like the Owlet, a smart sock that baby wears to track pulse and heart rate and alert mom and dad if anything changes throughout the night. Among the many many smart baby products available, Hatch is one of the most all-encompassing. The smart changing pad automatically takes baby’s weight each diaper change, lets you know baby is growing steadily, and even counts diaper changes to let you know baby’s digestive tract is in tip top shape. Both smart pet and smart baby products provide a wealth of information and automated management to make caring for our loved ones just a little easier. It’s about time technology took the reigns and let us live more naturally! Smart pet and baby products may not be for everyone (especially if you don’t have either), but for parents of furbabies and cuddly newborns, they are downright invaluable. Move this one to the top of your priority list if you care for pets or babies. Shop around; the options for smart devices are endless! Get Smart! Allow Smart Home Automation to Improve Your Life! It’s no secret life is hard. Anyone who works, manages a household, and/or cares for children knows any trusted and reliable help is much appreciated. Smart home technology systematically manages routine tasks and is built to put your mind at ease, allowing you to finally focus on the more important things in life. If you thought it couldn’t get any better, smart home devices quite often actually save homeowners money by reducing utility consumption! New to smart home automation? Start with a smart home assistant and a smart thermostat to reap the benefits of both convenience and cost savings right away! And, because smart tech, like a smart thermostat, is smart for the overall environment, many municipalities are happy to offer discounts, rebates, and/or incentives to homeowners that choose to upgrade. Contact your local government to inquire about available programs. Already have a few smart home devices and ready to make a bigger impact? Consider adding a smart air quality control or smart pet/baby accessories to improve the quality of life for all your loved ones. Regardless where you start, we bet you’ll love your upgrades to a smarter, automated life. Tell us about your smart home plans in the comments section below! Copyright © 2018 Mysa Smart Thermostats. All rights reserved.